Despite a plethora of differing opinions from the “experts,” there is an issue on which they agree: Our country has an alarming obesity problem. About 1 in every 4 health care dollars are spent combating the resulting side effects of heart disease, diabetes, high blood pressure, and high cholesterol. Physical activity is a big part of the solution. Regular exercise is good medicine, both as prevention and treatment. Eating fat doesn’t make you fat. The importance of reducing fat intake is a myth, and was never supported by any good evidence. All it did was make people rush to replace fat with carbs. Some fats are better than others. Unsaturated fats — like those found in olive oil, nuts, and legumes — are good choices. Too much saturated fat (red meat, cheese, butter) can be bad. Trans fats, sometimes listed on food labels as “partially hydrogenated oils,” should be avoided. Choose your calories wisely. Some forms of calories make you store fat more readily than others, and refined carbohydrates — white rice, pasta, crackers, cookies, candy — are at the top of that list. A protein-rich diet may or may not be good for you. If you’re physically active and eat lean protein sources (chicken and fish), it’s a good thing. If you’re sedentary, it’s just a lot of extra calories from another source. Sugar is bad, especially when you drink it. Sugary beverages — even one a day — raise your risk of diabetes and obesity. Sugar has adverse metabolic effects and virtually zero nutritional benefit. Your body needs variety to function properly. 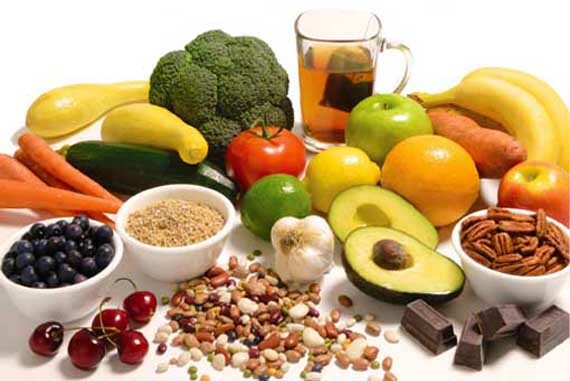 Every day, you should eat an assortment of fruits and vegetables, lean protein, whole-grains, and healthy fats. Whole foods are better than supplements. Aim for balance. Everyone wants a lean, muscular physique and six-pack abs. And, although there are lots of people and products making lots of promises, you can do all the abs exercises you want but, until you lose that layer of fat covering your midsection, the only thing you’ll accomplish is strengthening the muscles hidden beneath the fat. Burn fat. Doing lots of abs exercises won’t help you lose fat (I once read that it takes 250.000 crunches to burn one pound of fat!). To lose fat, you’ll need total-body strength training, a certain type of cardio called interval training, and a diet that is consistent with your goals. Lift weights. Every time you exercise, you should aim to work every major muscle group. Research shows that the metabolic impact of strength training persists for up to 48 hours, post-workout. The more lean muscle you build, the greater the number of calories you burn, at rest. Keep moving. Turn your strength training workout into a metabolic circuit by minimizing rest intervals between sets. Alternate between upper- and lower-body exercises, or push-pull exercises. Increase the intensity even more by mixing in cardio exercises like step-ups, jumping jacks, running in place, or jumping rope. Work your entire core. Don’t limit your focus to your abs. Find exercises that work your entire core, from shoulders to hips. We really like to incorporate planks – 4-point, 3-point, side, and several other variations – into our core work. Rotational exercises, using kettlebells and medicine balls, tend to be higher-intensity and are also effective core exercises. Add intervals. As discussed in a previous article, High-Intensity Interval Training (HIIT) is one of the best ways to burn fat. HIIT involves alternating intervals of high- and low-intensity activity. HIIT works equally well, whether the type of exercise is resistance/strength training or cardio. The key is to go hard during the high-intensity portion of the interval, and keep moving, even during the low-intensity portion of the interval. Eat smart. If you really want to get a ripped six-pack, doing the right abs exercises is only part of the equation. Avoid (or, at least minimize) foods like white grains, pasta, fruit juices, and other processed, high-sugar foods. Ultimately, excess blood sugar gets stored as fat. Make sure your carbs are whole grain and high-fiber. Increase your protein consumption by eating more lean meats (chicken, turkey, fish), eggs, and dairy (milk, Greek yogurt), and add a daily protein shake to your diet. If you train at my facility, then you know that every training session ends with a reminder to “eat and get your protein.” And, although protein consumption can come from a variety of sources, whey protein shakes are a quick, convenient, and portable way to ensure that you’re getting an adequate quantity and quality of post-workout protein. Drink a protein shake right after your workout to aid and facilitate muscle recovery. Consuming protein, following your workout, “can increase muscle protein synthesis by 100% for up to 24 hours,” says Michael Roussell, PhD and nutritionist. 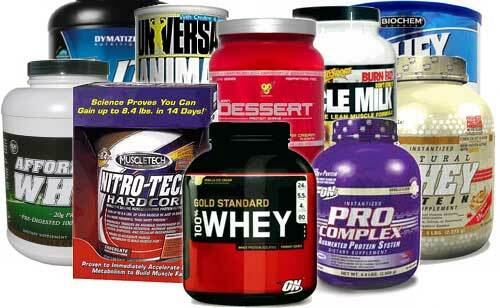 Additionally, keep in mind that protein consumption should not be limited to post-workout. To maximize muscle protein synthesis throughout the day, aim to get some protein every three to four hours, including lean protein at every meal or snack. Research shows that active individuals should get about 0.6-0.8 grams of protein, per pound of body weight, per day. Competitive athletes may need as much as 1 gram of protein per pound of body weight, daily. Like any other meal or snack, the key is to aim for balance: clean carbohydrates (whole grains, high-fiber), lean protein, and healthy (unsaturated) fats. Protein for breakfast is a must. 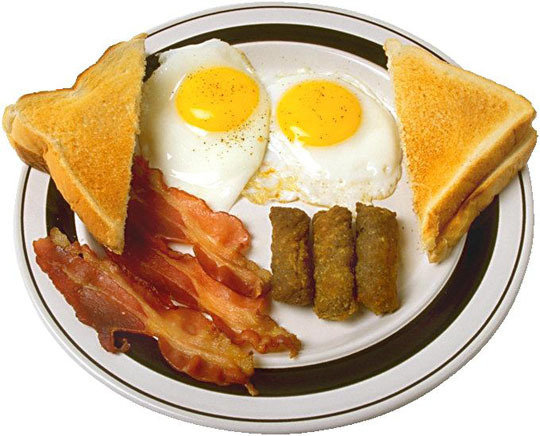 Eating a protein-rich breakfast can energize you, reduce food cravings, and prevent overeating later, according to research from the University of Missouri. Don’t get hung up on eating “breakfast” food for breakfast… eat whatever you want. Just keep it sensible, nutritious, and balanced. Leftovers from last night’s dinner? Eat ’em. Regular exercise is important, and good nutrition is its complement. Both are equally important components in maintaining your fitness, health, and wellness. And, while some may believe an extreme, fanatical approach to diet and nutrition is necessary to reach their goals, I do not. 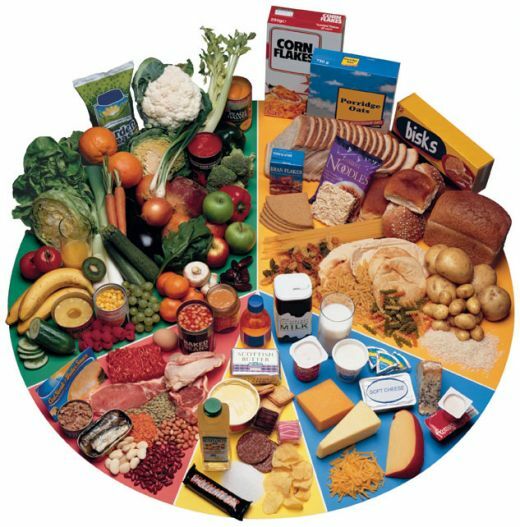 People often feel overwhelmed with nutrition when they have an “all or nothing” mentality. They feel that they must never ever eat anything “bad” for them or all of their efforts are ruined. Free yourself of that thinking. It’s impossible to never eat anything “bad” for us. You are setting yourself up for failure with this mentality. Balanced nutrition means eating foods that will be beneficial for your health most of the time, but also not feeling guilty when you occasionally eat something that may not be the best choice. Moderation is the key, but people may have different opinions regarding what is moderate. Having ice cream once per day is not moderate. Focus your daily meals and snacks on whole foods like lean meats, and fresh fruits and vegetables. Save the sweets — like ice cream — for special occasions. You’ll enjoy it more this way because then it really is a treat. Eating clean isn’t about being extreme or fanatical about the foods you eat. It’s about making better choices and realizing that moderation is the key. Eating clean means opting for more of the foods we know are good for us — whole grains, leans meats, fruits, vegetables, and good fats (the kind that comes from nuts and seeds) — and less of the stuff we know is not so good — processed foods, sugar, sodium, and bad fats (for example, trans fats). The closer foods are to their natural states, the better. That means unsalted, without added sugar, grass-fed, free-range, meats, and whole fruits and vegetables. Add more “real” food to your diet, and improve your overall health. Most foods that come in a box, and many that come in cans, are processed in some way. They either add “bad” stuff or strip away “good” stuff. As a rule, the closer a food is to its original form, the better it is for you. Try to spend a little time reading the ingredient lists of the foods you and your family eat. Generally, the healthiest foods contain the fewest ingredients. If you can’t pronounce an ingredient, don’t eat it. Trans fats, food coloring and dyes, artificial sweeteners, high-fructose corn syrup, and nitrates and nitrites have been linked with everything from heart attacks and strokes to tumors and certain cancers. Steer clear of foods that contain these ingredients. Foods that are low in sugar and fat, and high in fiber, are great choices as meals and snacks. Add to your grocery list foods like hummus, tuna and salmon, whole-grain breads and pastas, chia seeds, quinoa, seasonal fruits and vegetables, and lean meats; and spices and condiments like peppercorn, canola oil, and garlic powder. It takes a little forethought, planning, and preparation, but home cooking can help you cut calories and improve nutrition. There are lots of online resources that can provide quick, easy-to-prepare, nutritious recipes for you and your family. 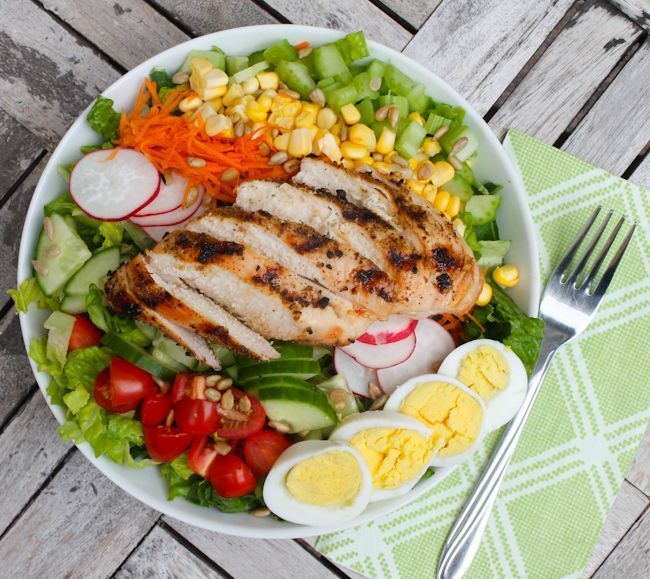 Try “one-dish” meals, which contain a vegetable, protein, and complex carbohydrate. Use a slow cooker or Crock-Pot and program the time you want your food to be ready. Cook large, family-sized portions and freeze leftovers for meals later in the week. Try new foods, combinations, and preparations. Eat smart. If you really want to get a ripped six-pack, doing the right abs exercises is only part of the equation. Avoid (or, at least minimize) foods like white grains, pasta, fruit juices, and other processed, high-sugar foods. Ultimately, excess blood sugar gets stored as fat. Make sure your carbs are whole grain and high-fiber. Increase your protein consumption by eating more lean meats (chicken, turkey, fish), eggs, and dairy (milk, Greek yogurt), and add a daily protein shake to your diet.. If you train at my facility, then you know that every training session ends with a reminder to “eat and get your protein.” And, although protein consumption can come from a variety of sources, protein shakes are a quick, convenient, and portable way to ensure that you’re getting an adequate quantity and quality of post-workout protein.